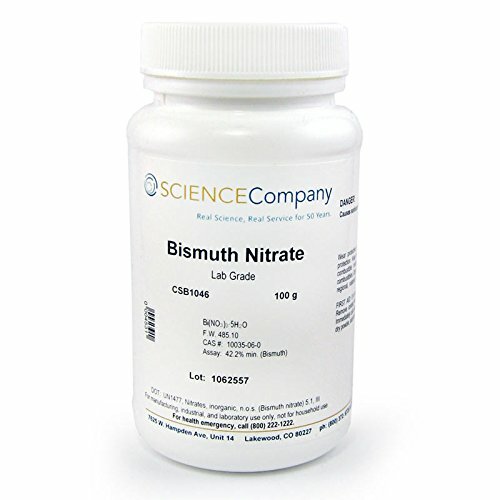 Details: Bismuth Nitrate is in lustrous, clear, colorless, hygroscopic crystal form with an acid taste. Soluble in alcohol, acetone, and dilute nitric acid; slowly decomposed by water to the subnitrate. Useful in creating patinas on copper, brass, and bronze.